I’m 34, my spouse is 35. We’ve been married seven years. Yep, two children, a toddler and a newborn. We’re in a major city in the mountain west. I’m a government attorney with seven years of experience. $120k/yr. gross salary, plus benefits. My wife is currently a stay-at-home mom. My first lawyer job was clerking for a judge at about $55k/yr. I worked for the government for another year after that, then I was in private practice for a few years making $80k-125k or so, and I’ve since returned to the government in a different position. Maybe this brands me as a millennial, but job-hopping gives us the best chances for significant gains in the things we believe are important, whether that’s income or work-life balance. Few jobs will give you a 20% or 30% pay raise, which is what you can realize moving from job-to-job in some circumstances. Also keep an eye out for unexpected opportunities. I knew I wanted to leave the law firm I was at, but the area of practice I’m in now hadn’t really occurred to me as an option until I saw the job posting and applied for it. It’s currently excellent. My wife is taking time off to stay home with the kids. I’m out of the office by 5 p.m. all but a handful of nights a year. I can leave work at work and not think about it much until I’m back at my desk, unless I’m in trial. It’s a big change from when I was in private practice. We own a vacation property that we rent out enough so that its cost to us on an annual basis is less than $1,000 per year considering all the money going out the door (mortgage, HOA dues, utilities, etc.) and all the money coming in. The place on the whole doesn’t result in net revenue to us, but it allows us to get out of the city for next to nothing. My father-in-law passed away a few years ago, leaving us a direct inheritance ($200k) and also designating my wife as the beneficiary of a deferred-compensation plan he opted into in the 80s, which nets her $60k/yr. for the next few years (taxed as income). It’s a major piece of allowing her to stay home with the kids. This year the numbers were thrown by our new roof (only partially covered by insurance); in the last calendar they were skewed by a new vehicle (purchased in cash). Not specifically. We monitor spending (usually that’s me) and have a discussion every three months or so about major expenses, changes in spending, etc. We also check in with the other spouse before making a “fun” purchase over $100. Last year was an outlier: we earned $153k, spent $137k, for a net of 11%. The new vehicle didn’t help. Though that doesn’t include $100k of inheritance that we didn’t spend, which would make it 46%. Though we include the deferred compensation inheritance in our household “math,” the direct inheritance was invested directly on a rolling basis (which is why we still have a fair chunk of our net worth sitting in cash). If we look at the past 12 months on a rolling basis, the numbers are $217k earned, $127k spent, for a net saving rate of 41%. We don’t drink cheap alcohol. And though we don’t eat out much, when we do it’s often at expensive restaurants. Continual investing in low-cost, passive index funds. Though we don’t hold many individual stocks, a few that we do hold have done very well. Not tech-bubble well though. Our house has appreciated in value by nearly 80% in 7 years thanks to a busy real estate market. But our best investment has probably been firing our old financial adviser and replacing him with a fee-only adviser who we asked to do a big financial overview, and who we now only contact once in a while when something significant changes. Probably the $5k investment in a small closely-held business in an industry we were interested in. It’s been interesting to see how the proverbial sausage gets made in a small business, but it hasn’t thrown off much cash. We’ve moved accounts and platforms enough that it’s tough to quantify, but generally in line with Vanguard’s total stock market index. Monthly or so, usually to see if we need to make additional contributions. We got a major leg-up by standing on the shoulders of giants. Both sets of parents took big steps to fund our undergraduate and post-graduate educations, and between parental help and scholarships we graduated without educational debt. That allowed us to maintain a fairly high savings rate and invest everything else. We got another bump through inheritance, and another through owning properties in two fairly hot housing markets. I don’t think we perform super-well on any single component of the model, but we perform pretty well on all of them. Our annual income is good, but it isn’t half-a-million good. Our savings rate is good but not >50% good. And our investments are doing well but they’re not hitting anything out of the park. The firm my wife was working at imploded when she was six months pregnant with our first child and she was laid off. But an inheritance filled the earning gap. Primarily a 40% savings rate and continuing to fairly aggressively invest leftover cash in a split of taxed and retirement accounts. Renting our vacation place out to cover its costs and appreciate in value. Our target isn’t really a set number, but one which will allow us to achieve early semi-retirement where we have the opportunity to taper down hours and income. November 2016. We’ve been on a pretty steady trajectory since. I wish we would have changed financial advisers earlier. Our old adviser was attached to my old firm’s retirement plans, and we decided to move some of our own money over to him. Base fees were high, about 1.5%, and they traded all the time. In hindsight, it looks like they were just churning fees, and the returns weren’t great. Things felt a lot more manageable once we hired an adviser that matched our personal financial beliefs (buy and hold boring and cheap index funds and keep fees low). As a couple, we are lucky that we are geared the same way when it comes to finances. We both avoid debt and keep spending under control while not feeling like we’re misers. That’s probably the biggest component in allowing us to save and invest on a regular basis without friction. In a little less than a year, I plan to approach my agency with a request to work remotely three days a week, which would allow us to move to a smaller community near where our current vacation condo is located. If the agency won’t allow for it, I’ll strongly consider going out on my own (starting my own law firm), and our financial cushion will allow us to weather dips in income stemming from that transition. I also hope to drop down to 20-30 hours of work per week while our kids are growing up, either at this agency or through my own practice. It’s certainly not retirement, but the wealth we have built up will allow me to scale down my hours (and my income). Though I hope to scale down my hours significantly over the next ten years, I don’t expect retirement is in the cards for me for a long time, in the sense that I expect to keep making an income for a long time. Though that might be with significantly reduced hours or even in a different position. 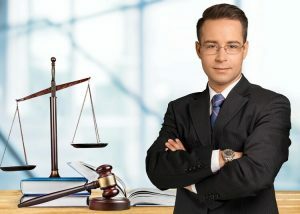 My law license is my most valuable income-producing asset, so I expect future plans may include some consulting or mediation work, or other work that touches on my area of expertise. I would also like to work in some asset of the outdoor industry, maybe as an instructor or guide, though guiding is usually the province of the 20-something chargers. Hopefully we’ll get health-care figured out as a country by the time we need a lot of it, but that looks to be one major issue on the horizon. Beyond that, I think boredom would be a major issue with “true” retirement for me, which is why I don’t think I’ll be doing it any time soon. Mr. Money Mustache was a big influence, along with Get Rich Slowly. One of the best lessons I learned in college, where I had read something that suggested that carrying a balance on your credit card from month-to-month once in a while was a good way to build you credit (in actuality, I don’t think that’s true). Anyway, after I saw how much it cost to carry a $100 balance from one month to the next, I paid my credit card off every month from then on. I mentioned above that my wife and I are geared the same way when it comes to finances. Most of that was instilled by our parents, who were also geared the same way – frugal without being miserly. They are our heroes. I often think back to a conversation I had with my father when my wife and I were considering buying our vacation place. My family had a tiny little lake cabin when I was growing up; a lot of my best childhood memories took place there. When we were considering a vacation place of our own, my dad’s advice surprised me. I expected him to be equivocal or have warnings for me. Instead, his answer was “do it if you can afford it, even if it’s a stretch. The memories we got from our cabin were beyond value, and I’ve never spent money on a better thing in my life.” Our experience has been very much the same. We do, though not nearly enough. It comes in dribs and drabs, often when we feel guilty around the holidays. My wife prefers to donate to cancer research; I prefer to give to charities providing mosquito nets in third-world countries because a few studies have convinced me it’s where we can produce the biggest benefit-per-dollar. If everything goes well, we’ll have wealth left over for our children. But it’s not the primary goal of our financial planning. That said, since we experienced such a major benefit from our parents’ help with our education expenses, making sure we can cover at least undergrad and potentially grad school for our children is a major priority for our financial planning. That’s why we opened 529 accounts for both of our children within a month of their respective births. Mostly it was confidence that we had a comprehensive plan in place. We had a variety of different accounts, some of which were difficult or impossible to combine, so we wanted someone to look at risk allocation etc. across the board. We also wanted help looking for blind spots, like thin disability insurance for our primary breadwinner. Finally, it was a reality check on whether we were actually financially independent. We don’t meet with her often; after we got our plan in place we only check in if something major happens. And we only pay her for the time she’s on the clock. I am amazed by the net worth you have built up at your age. As you said, you haven’t had exceptional results in earning, saving, or investing, but did well in all three. A few different moving pieces here. Real estate gains are more like $300k. Spend is usually around $100k or $120k, but total income has usually ranged between $140k and $180k per year – with the balance on top of my salary made up by my wife’s income before she took time off with the kids and then the inherited deferred comp, and also rental income from our second property. So generally we’ve been adding $60k to $80k per year to investment vehicles of various stripes. I thought the rental property was essentially a wash and didn’t provide income? I’m also confused about where the $1.7M in “investments” came from. I agree with funding college education for your children vs. a specific inheritance plan at this point. Having your kids graduate with a degree and no loan debt gets them out of the starting blocks quickly and gives them more choices for their career aspirations and life choices without a crushing debt load burden. A great gift and start in life. However, and I’m sure your financial advisor recommended as such, a will/living trust with provisions for the kids along with significant life insurance policies (term) on both parents would be in order to provide for your children as protection from untimely death, particularly for the primary breadwinner. Right, and incidentally that same head start is what gave both my wife and I such an advantage coming out of the gates. Currently we have a term life insurance policy on me, but my wife’s inherited deferred comp is also inheritable by me and our children, so she effectively has a guaranteed income stream regardless of if she lives or dies (that sounds morbid…) until our kids hit college or close to it. Do you have a target amount for your kids’ 529 plan? Not really; some of it will depend on whether it looks likely that we can rollover any remaining funds from Kid 1’s plan into Kid 2’s plan. They’re young, so the good news is that we have compounding on our side, but the bad news is that costs are going to continue to rise unless something remarkable happens. Ballpark, maybe $200k apiece by the time they’re both 18. Basically, we want to be able to cover all of undergrad/tech school and at least help with grad school if that’s where they’re headed. I’m puzzled like others with your net worth being $2.25 million in relation to your age and related compensation over those years. If we take what you say and round up for easy math that you and your wife made $100k each (gross) for past 8 years, which is inclusive of your wife’s deferred competition that would equate to $1.6 million gross, less taxes / 401k / medical of 35% leaves $1.0 million before you spent any money to live. You state you spend $120k to live (today ) but let’s round that down to $100k for average over 8 years or total spend of $800k. This leave a potential after tax savings, assuming no big purchases and it’s all saved of $200k. So before inheritance I get a 3 pot total of $1.2 million at most. I think it’s great you have $2.25 million of net worth but I have a hard time understanding where the other $1.0 is coming from. I know some of it is inheritance and my above numbers were assumed everything goes right on the compensation / investment side of the equation and very low on the expense side of the equation. See my comment above. My salary history answer in the interview didn’t discuss my wife’s salary, so the main input in your math – gross income, is about half what it should be. Gross income was in the ballpark of $140k rising to $180k or $200k while spend moved from about $80k to $100 or $120k. I, like others have commented, don’t see how the numbers are adding up here. My first thought is your inheritance was bigger than disclosed. If that’s the case more power to you. I also would put some thought into dropping down to 20-30 hours/week in your peak earning years. I think being there for your children is very important but, as you stated above, you are already spending 100% (120k) of your income. I don’t mean to a downer but I just can’t get the numbers to add up. I’d have to second BG’s point. Looks like there was a period of aggressive saving at “$60k to $80k per year to investment vehicles of various stripes” when wife was working full time. But, given age of 34 years old, its hard to tell when that period of aggressive saving started and how long that period lasted. Let’s generously say that there was a solid 10 years of average $70k per year saving, that only gets us to $700k by simple math. With the help of compounding you would have needed to generate an annual return of about 20% to reach $1.7m (someone please check my math!). Maybe I missed something as I tend to speed read these things before heading to the office, but I believe that is where folks are confused. For the record it was not my intent to accuse anyone of fabrication or anything anywhere near as unsavory as that, as may have been suggested elsewhere. Nor do I believe we are “owed” any further explanation. I doubt I will ever do the MM interview because I’m concerned that the level of disclosure would make me too identifiable, and spouse and I are very private people, so I completely get that every question can’t be answered in as much detail as we’d like. But, I think this one slipped through the ESI selection process in terms of coherence and educational content. Please don’t be discouraged MI 114! Looks like there are some jealous commentators who want you to admit that you owe your financial independence to inheritance. It takes courage to share your Fi journey and thank you for that! Normally I don’t comment on these, even though I read them religiously, but I had to on this one. I agree with the other people who have commented raising questions that something is missing here. Either it’s fabricated, all or in part, or there are some significant details being left out as the numbers just don’t add up, at all. Perhaps it is in the individual stock investments but it was indicated individual stocks only make up a sliver of the portfolio. It also says “equity-heavy” indicating to me that there is some bond components in there which would also hamper the returns. I think the readers of this blog are owed a bit more information at least to get it to ‘plausible’ status. So, I was going to go back and play forensic accountant to see where the disconnect might be. But the idea that you’re “owed” anything is a little tough to swallow. The goal here for the reader is to try to learn from others so that we can incorporate some of your best practices regarding personal finance. Based on the information you have provided, the numbers don’t work out so it’s difficult to figure out what the point of this or what the takeaway should be. There is nothing here that can help anyone since it’s authenticity is in question. Perhaps it’s just a question of missing information but without the full picture it is difficult to say. I agree–interesting math problem, but you do not owe any additional information. I don’t normally comment either. I thought the same things as others have stated as I read through your interview, but I understand it’s difficult to look back and try and figure out the details of a financial past. I’m not sure whether you’re talking gross or net salary numbers in your interview or comments. It’s a brave thing you and others are doing exposing your finances for all of us (my husband won’t let me do an interview), and I eagerly await each interview. I hate that this is turning into a negative experience for you. Please know we don’t all feel you owe us anything. I read through again, and see you did say $120,000 gross salary. Are you including taxes in your annual spending totals? I get the feeling you are in Denver- if you decide to quite the government job and start a practice, give me a ring haha. I am also a former clerk working a government job right now. This was super fun for me to read!